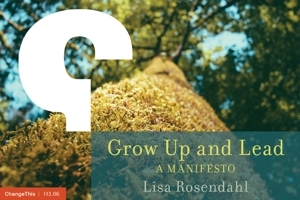 Lisa Rosendahl — How Do You Provide Regular Feedback to Your Staff? How Do You Provide Regular Feedback to Your Staff? What does it take to send you down a path of inquiry? It doesn't take much for me: a question; an interaction; an unexpected outcome; or even a comment to a post can get me going down that path. Almost always, it is something that catches me off guard. My ego went into high gear and I began spinning through the defenses of who has the time (too busy, sigh), my staff know their work is appreciated, chocolate can right all wrongs, the manager who can do that must simply be way too overstaffed, etc. Ron's comment caught me off guard. I consider myself a good leader but was I? I started to reply a few times that night but did not. I did not respond until the next day. For those that have been able to do this with any degree of success and satisfaction, what has worked for you?y perspective or priorities? My staffing level? Or something else? I prefer positive reinforcement when the “good” behavior is witnessed. A good manager I used to know would always sit down with each person in his department once a week without fail and tell them the great things they did during the week and the areas where they could have done better. His people were always top performers and his performance appraisals were simply recaps of his weekly meetings. Redirection via "The Gold Slip"